This month, I had the pleasure of interviewing Donna Miscolta, Filipino-Mexican-American author and essayist. I had followed Donna for a while on Twitter when I got the chance to meet her at her Dissolving or Deepening Tension with Humor workshop through the Seattle Public Library’s Seattle Writes Program. I then read her awesome collection of short stories, HOLA AND GOODBYE, and loved the pathos and humor in every story—some of the best I’ve read in a long time. All these things made me want to know more about Donna, how she got to where she is today, and what keeps her motivated after more than twenty years of writing. Peg: When did you first start doing creative writing and what inspired you to do it? Donna: I think I always wanted to be a writer. I remember writing a story about a cat when I was in fourth grade. I was quite pleased with it. I knew that producing that story gave me satisfaction. At some level, maybe I thought about becoming a writer. But at another level, a more persuasive one, I didn’t believe I could become one. But throughout school, including college, I did well on writing assignments, so well at times that when I was studying science as an undergraduate two professors questioned the authenticity of my writing. Later when I was trying to figure out a career path that would provide an income to help support a family, I took a poetry class, which made me realize it was stories I wanted to write. But I set that desire aside for a later time in my life—for when I retired, I thought. Except that retirement was forever away, and the urge to write seemed to manifest utmost just at the most chaotic time in my life. My husband was starting a business, I was early in my career as a project manager with a county agency, our daughters were seven and three, and our fixer-upper house was still in need of fixing. And yet I couldn’t ignore the impulse to write. What made me act on that impulse was hearing my friend Kathleen Alcalá read from her first book, a collection of stories called Mrs. Vargas and the Dead Naturalist. I realized how much I wanted to do what she was doing: writing stories and sharing them with an audience. P: I read somewhere that it took you twenty years to write the stories that went into HOLA AND GOODBYE. How did you stay motivated to keep writing during all those years? D: During many of those years I was just learning how to write, figuring out what makes a story, and even more, what makes a good story. And while I was writing the stories that would eventually form HOLA AND GOODBYE, I was also writing my first novel WHEN THE DE LA CRUZ FAMILY DANCED, which was also a time of trial and error. There were long periods of feeling lost and doubts about whether I would have a book published. 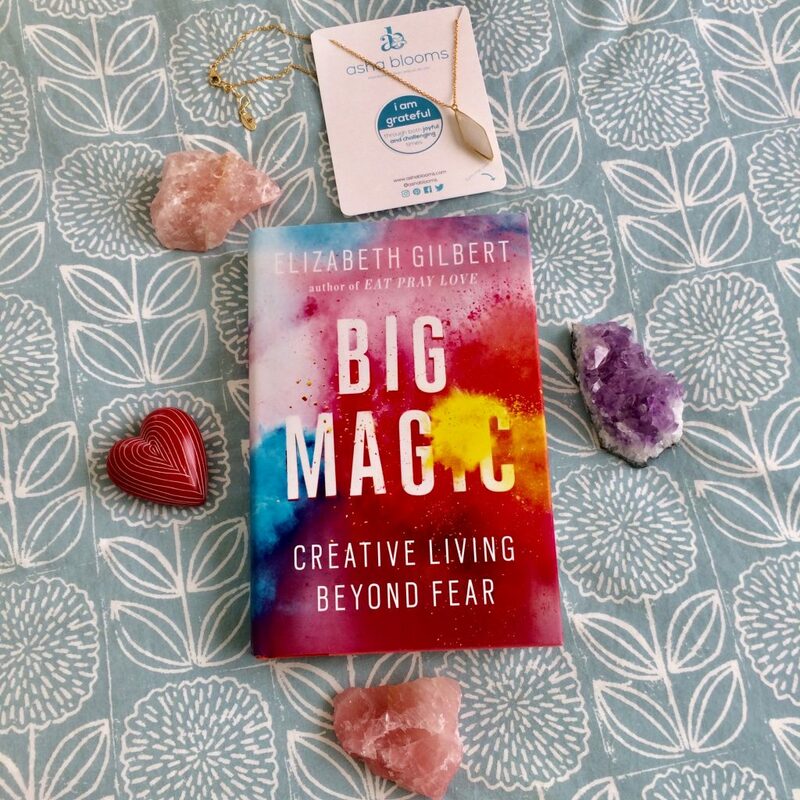 It helped that I would occasionally get a story published, win a grant, or be invited to do a reading, all of which made me feel as if I was on to something. But I never felt like abandoning writing. Even though there were times when I thought I would never get a book published, I knew I would continue to write, because it’s always been the writing that counted. P: What does a typical week of writing look like for you? D: I still have my habit formed many years ago of writing in the evenings. I’m able to spend a couple of hours at my desk, but I’m tired after a day at work, so the writing is slow and intermittent. I’m an old car sputtering down a rutted dirt lane. I do try to write every day. It doesn’t always happen, but that’s okay. Despite my metaphor, writers are people, not machines. P: How do you balance working at a job, having a family, and writing? I started writing when my daughters were seven and three, and I had to really compartmentalize my day from morning until bedtime. In addition to setting aside an hour each night after the kids were in bed to write, I also used my bus commute to and from work to write or at least edit, even it amounted to only a paragraph or two. Of course, there was more time once they were away at college, and now they’re off living their own lives, so I have more time to write in the evenings. Now I’m on the cusp of retirement and for the first time in my life, soon I can devote whole days to writing. The balancing act is over. P: That’s great that you’re close to retirement. Once you’re retired, what does your ideal day look like? D: My days will be very much like my days when I’m at a writing residency. I get up, work out, eat breakfast, then sit down to write until lunchtime. After lunch, it’s more writing until mid-afternoon when I break for a walk or a bike ride. Maybe a little more writing or some reading before dinner. After dinner, it’s the New York Times crossword online, then a little more writing and reading. Maybe end the day with Netflix. I’m sure I won’t be able to sustain that for more than a week or two at a time. Real life intervenes with all its everyday exigencies. P: I saw on your web site that you grew up in National City, California, with a Filipino/Mexican family. How did your heritage and/or your hometown influence your writing? D: My first book was about a Filipino American family. My second book was about a Mexican American family. They’re both set in a place called Kimball Park, which is a fictional stand-in for my hometown of National City, California. Almost all my other fiction is set in Kimball Park as well. And I’ve written an essay about National City. So, yes, my heritage and my hometown have played a significant role in my writing. I recently attended the NonfictioNOW Conference. One of the panels I attended was called Hauntings in Nonfiction. The moderator, Harrison Candelaria Fletcher, said he was haunted by his home state New Mexico. I think I might be haunted by National City. Or maybe I’m haunted by a lack of imagination. I hope that’s not the case. I have set an intention of setting my next story in a place other than Kimball Park/National City, though once I complete my two manuscripts in progress, I’ll be working on a series of essays about family which will inevitably mean writing about National City. Let’s say sometime in the future I will stop writing about my hometown. P: Can you tell us about the projects you’re currently working on? D: I have a collection called Angie Rubio Stories that’s done and twiddling its thumbs hoping someone will see fit to publish it. Each of the stories is a lesson about life, race, and identity that Angie Rubio learns in school. A couple of the stories have been published, one in The Adirondack Review and one in Santa Ana River Review. I’ve been submitting the finished manuscript here and there whenever I have time. This is the painful part. The rejection-filled part. The part where you think no one will ever love it enough to put it out in the world. The part where you begin to doubt your love for it. The part where you have to hang on and believe. I’m hoping to finish by the end of the year another project, tentatively titled Ofelia and Norma. I’m taking the characters from “Strong Girls,” one of the stories in my collection, HOLA AND GOODBYE, and following them into young adulthood as they grapple with issues that can complicate and even nearly destroy lives—issues such as body image, eating disorders, and gender and racial stereotypes. I think I might love these characters more than any I’ve created previously. I want readers to have a chance to love them too. P: They will! Ofelia and Norma were two of my favorite characters from HOLA AND GOODBYE too. Last question: what advice would you give someone in their 40s, 50s, or 60s who says they’ve always wanted to write but fear that they are “too old” to start? P: Such great advice! Do what you can and keep practicing. Thank you so much, Donna, for taking the time to answer my questions, and for being so honest and encouraging. 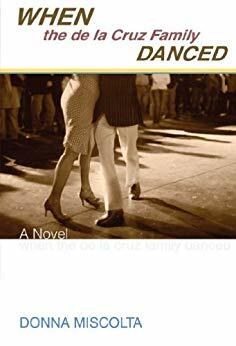 I just bought a copy of WHEN THE DE LA CRUZ FAMILY DANCED and can’t wait to read it. And, I’m looking forward to reading your next two books when they’re published. 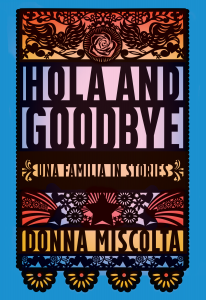 Donna Miscolta’s short story collection HOLA AND GOODBYE won the Doris Bakwin Award for Writing by a Woman, the Independent Publishers gold medal for Best Regional Fiction, and an International Latino Book Award silver medal for Best Latino Focused Fiction in English. 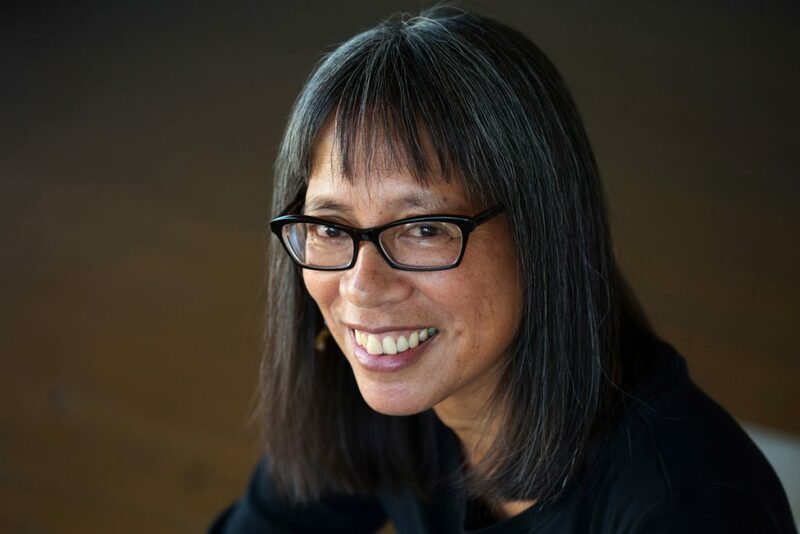 She is also the author of the novel WHEN THE DE LA CRUZ FAMILY DANCED, and her stories and essays have appeared in a number of journals including The Adirondack Review, Calyx, Cha, Connecticut Review, Moss, Raven Chronicles, and Waxwing. Donna is a two-time recipient of an Artist Trust Fellowship, has received awards from 4Culture, the Bread Loaf/Rona Jaffe Foundation, and the City of Seattle, as well as residencies from Anderson Center, Artsmith, Atlantic Center for the Arts, Hedgebrook, Ragdale, Virginia Center for the Creative Arts, and Mineral School, amongst others. To learn more about Donna, visit her site, follow her on Twitter and Facebook, and check out her books. Photo of Donna Miscolta by Meryl Shenker.